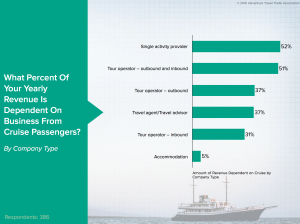 (SEATTLE) August 24, 2016 – The Adventure Travel Trade Association (ATTA; www.adventuretravel.biz) conducted a survey in May 2016 to learn about the ways that the cruise industry and the adventure travel sector intersect. 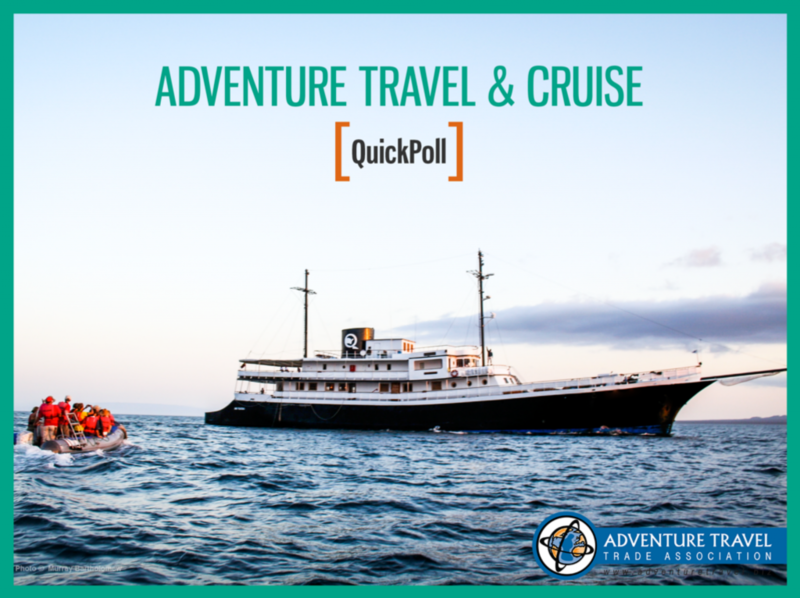 In this first look at a complex topic, the ATTA’s Cruise Quickpoll survey included 29 questions about the ways in which cruise companies and passengers affect adventure travel. Several open text questions allowed respondents to share their observations in their own words. Cruising is growing in popularity with travelers and its influence on the adventure travel trade is significant. 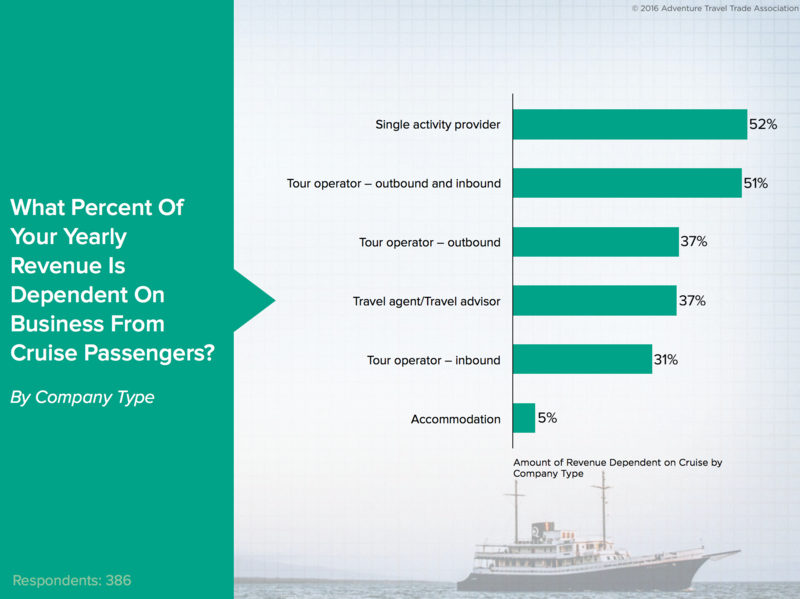 Inbound/outbound adventure tour operators reported that 51% of their annual revenue is dependent on cruise and 73% earn profitable revenue from cruise passengers. 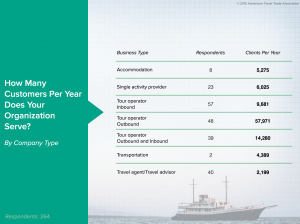 The majority of survey respondents were tour operators and travel agents, but representatives from tourism boards, accommodation providers, destination management companies and transportation service providers also contributed responses. Fifty-eight percent of the organizations who responded are headquartered in North America. Seventy-nine percent of respondents said they had observed the destinations in which they work to have been impacted by cruise business, both positively (increased tourism jobs, increased destination awareness, increased income for local businesses) and negatively (increase in industrially-sourced souvenirs like T-shirts, increased trash). 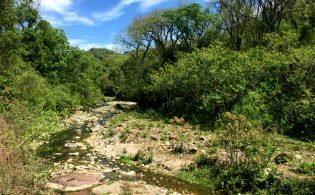 Other impacts include increased crime, environmental impacts and changes in local purchasing behaviors. Eighty-five percent of respondents said the size of the ship makes a difference to them. A majority of respondents observed that small expedition ships (12 – 99 passengers) have more positive impacts than negative, while respondents were split with respect to the impacts of medium sized cruise ships (100 – 669 passengers). When it came to the impacts of large cruise ships, respondents tilted toward the negative impacts with 72% concerned about resulting damage to local environment. 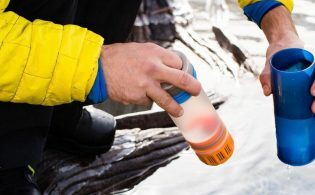 There will be a plenary session called “Perspective: The Value of Cruise in Adventure Travel“ at the Adventure Travel World Summit in Anchorage, Alaska, this September, which will discuss the survey findings. Panelists include Jamie Sweeting (Planeterra Foundation & G Adventures), James Sano (World Wildlife Fund), Colleen Stephens (Stan Stephens Cruises) and Roberta Caenepeel (Explore Tours). The discussion will be moderated by ATTA President Shannon Stowell. 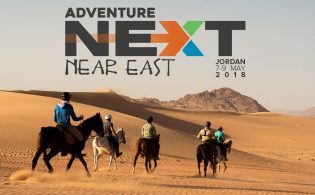 Download the report from the Adventure Travel Trade Association Research Center.